Imagine your life without the ability to read - really think about it. I posed the question to a group of children and the response was exactly what you would expect. "I wouldn't be able to read books and play on the computer. I wouldn't be able to learn. I wouldn't be able to drive a car. I wouldn't be able to go to work. I would feel stupid. People would make fun of me." That's the reality for one in four children in America. A long-term study by the Annie E. Casey Foundation found that students who are not reading on grade level by the end of 3rd grade were 4 times more likely to drop out of high school than their reading proficient peers. In addition, 88 percent of students who failed to earn a high school diploma were struggling readers in third grade. These children grow up dependent rather than independent citizens in our country. Investing in early literacy intervention programs is critical for our children and nation. Why are so many children struggling with reading and have no desire to read books? How do we draw children into reading and connecting with books and stories? How do we capture their desire to read and reread the same stories over and over again? How do we build story connections with children that are so strong that children want to recite storytelling with confidence and expression? How do we close the achievement gap with poverty and minority children? Think about it - how do you relate to the materials you read? Typically, if what we read is not meaningful, we will likely not continue reading it, much less retain the information we read. It's the same for kids, if they don’t like something or they perceive it as hard, they don’t do it. As an early education classroom teacher, I spent years trying to figure out the "secret sauce" that lead to the creation of the nonprofit StoryBook Treasures (SBT). When trying to find funding for SBT we found nonprofits addressing basic medical, housing and food needs for children. How can books and reading be more important than that? The data we gathered confirms illiteracy is the underlying problem. If students are not reading on grade level by 3rd grade they typically do not catch up, leading them to a life sentence of poverty. If you cannot read, you are likely going to be dependent on society for you basic needs, creating and contributing to a growing cycle of non-readers and a dependent society. Help us and so many other organizations break the cycle to outsmart poverty through literacy. Let’s create communities that embrace reading and children who fall in love with books that lead to a life of reading. I challenge you to become involved, donate and support our children and our nation. Investing in literacy is an investment in our children and future. Find out more about StoryBook Treasures or or donate directly to our programs at www.storybooktreasures.org. Citrus County School District county wide at all 11 Elementary schools: Lecanto Primary School and more. Sharing our FAVORITE Books with our FAVORITE Schools! As of 2017, SBT is a registered trademark. "Once a year we roll out the red carpet to recognize top teachers in Loudoun County Public Schools. Outstanding teachers make a great school, and great schools make an excellent school system. An excellent school system attracts top companies and qualified workers. The end result is a healthy, thriving business community. But, it all starts with outstanding teachers. Kindergarteners LOVE SBT at William Paca Elementary! 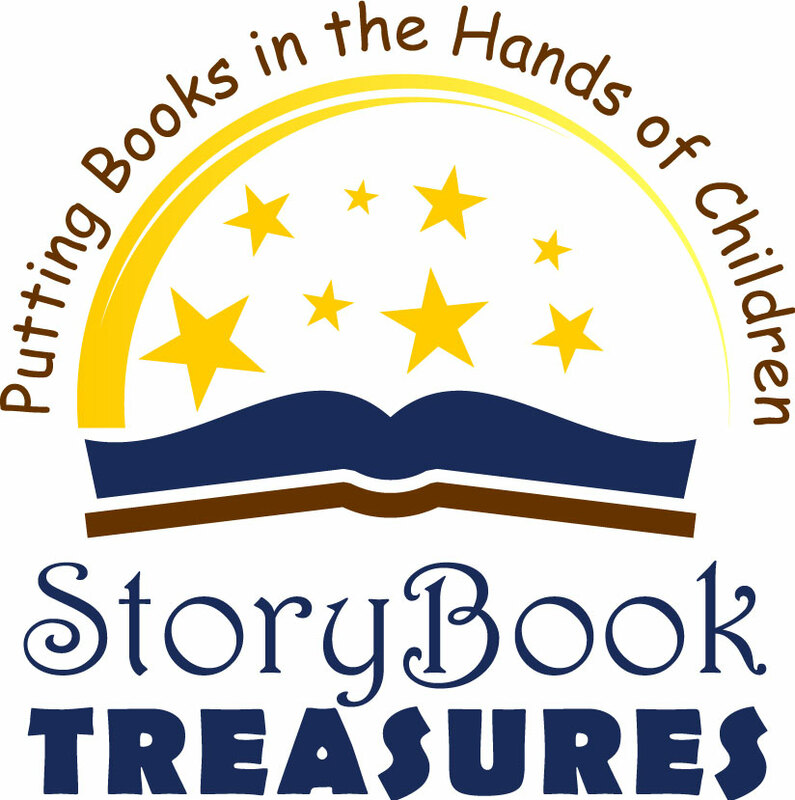 Introducing the new StoryBook Treasures Preschool Program! The first shipments of the school year were sent to Sugarland Elementary, Lecanto Primary and Gerald Adams. Warm welcome to the teachers and students at Gerald Adams Elementary in Key West, Florida! The first StoryBook Treasures shipment was packed and delivered to over 100 students in 7 kindergarten classrooms at Lecanto Primary School! BIG thank you to all who have given their support, time, money and effort into putting the BEST books in the hands of children... Best Checks, Neal Turtell, Todd Duffy, Bright House Networks, Citrus County Education Foundation, Glenn Turner, Wendy Giordano, Black Forest Haus, Weller Wild Cat Family, Amazon Smile, ChristmasForest, Kelli Harrod Hayes, Patty Peterson, Janet Muller Segerson, Stacy Holloman Connors, Alexis Corbo, PNC Bank, Silicon Valley Community Foundation, Floriana Caceres Maslyn, McKenna McGovern, StoryBook Treasures, Stephen N Robin Powers, Kim Burke, Rick Lainie Keeran, Marla Rowe Dusek, Bonnie Sue Weidner, Jessica Barrett Bresnahan, Vicki Lofton, Citrus County School District, and many, many more! 3/2/2016 Lecanto Primary celebrates Dr. Seuss Day with SBT! Lecanto Primary students celebrating Dr. Seuss Day! Sugarland students reading Dr. Seuss, I Can Read with my Eyes Shut. Sugarland student reading Brown Bear Brown Bear... with his Brown Bear Treasure! 2/16 Steuart Weller supports SBT with a "Jeans Day" teacher collection to fund the SBT program at Sugarland Elementry. 1/16 Lecanto teacher, Kelli Hayes receives a $500 grant donation from Bright House Network to support the SBT program in her classroom. 1/16 SBT recieves a fundraising donation from the Christmas Forest to help support Sugarland Elementary and Lecanto Primary. 1/15 Donations from the Black Forest Haus will bring the SBT program to Amelia County, VA. Welcome to SBT AC and a big thank you to the BFH! 12/15 A donation was recieved from the Black Forest Haus to support the teachers and students at Lecanto and Sugarland! 2015-2016 SBT partners with Lecanto Primary in Flordia and Sugarland Elementry in Virginia. We will be working with over 15 teachers and 250 students! 2014-2015 The SBT pilot program with Legacy Elementry, Ashburn, Virginia was a great success! Thank you to Dr. Stacy Connors, the parents and students for embracing the program and making it a huge success! We are currently looking for individuals and companies to support our cause.